At last the people of Eritrea are being listened; thanks to the Geneva demonstration. The date was 26 June, 2015 in Genève Switzerland. A friend and I arrived at the Central station (City Centre) at about 11.45 am to make it to 12 to the designated rendezvous where the March to the office of the United Nations begins. The march was to express solidarity with the UN Commission of Inquiry on Eritrea (COIE). 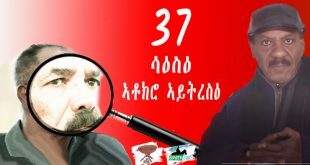 On June 8, 2015, the Commission made its 485-page report public and confirmed to the world community the pain and the sufferings that Eritreans are enduring under PFDJ government. We came across many Eritreans at the entrance and asked one were the meeting place was. He said “we are going there follow us.” We entered through the main entrance of the station and came out through the back door. We walked for about 15 minutes and arrived at a big park – the rendezvous. We were overwhelmed by the activities taking place there. Several people were busy attaching slogans to placards. Some were arranging flags and banners. There were several people holding cameras on their shoulders and on stands. What an extraordinary sight, seeing people doing their share of work with enthusiasm and dedication. The flags of EU countries where Eritreans got sanctuary made the demonstration colorful and beautiful. It was amazing to observe a sea of people mostly young walking orderly and chanting. At the first rows, there were children and disabled war veterans. The youth were dominant. Their faces shine radiating hope and happiness. The expression in their face tells the tale of love between each other. After all they all share the value of freedom and justice. The value which inspired them and motivated them to rise up and stand up against injustices. The beauty of it that the demonstration has bonded people together even more. What a glories historical day. I told myself that I was glad to be there. The Eritrean people’s dignity – resilience and incredible history of defiance has been compromised by PFDJ oppression. The people wanted their pride and dignity back and they felt they have to do it collectively. “The popular slogan was down, down dictator”. “What do you want? Freedom” When do you want? Now? “Enough is enough” etc. “The Geneva rally has represented the true face of Eritrea; no such diverse crowd of Eritreans assembled in one place, around a united cause, in the last twenty years. The huge march estimated to be more than 5000 symbolizes people’s power. Power the majority of Eritreans did not realize they have. – It represents a mini mobilization, a nucleus that lays the foundation for democracy. It was remarkable to see the march was orderly, the Swiss police were not in big number and they were very trustful and respectful as to let the Eritreans handle security themselves. Credit to the organizers they were effective. My congratulations to them. I will not talk more about the March and the message in the slogans as Amanuel Iyasu of Assenna was covering them live. There were also reports on Radio ERENA, The Forum, Awate.com and many more such plus face books. At the same time, there were demonstrations in Ethiopia. 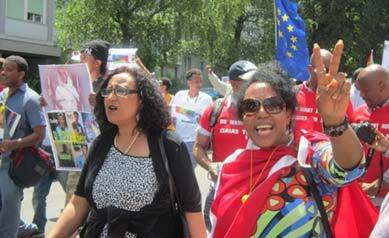 In Addis Ababa Eritreans marched to the African Union and the Office of European Union. Similar rallies took place in the refugee camps in Shimelba, Mai Aini – Assaita, Berhalene and Hintzas. There was demonstration in Israel where Eritrean are denied protection. The triumph of the Geneva demonstration presents the justice seekers with formidable challenge. Would the justice seekers seize the momentum? In this moment in time where the Eritreans worldwide are experiencing a profound inspiration the leaders of various political, civil and human rights organizations should put in place a comprehensive path and vision – that shapes the destiny of Eritrea. And present to the public in conferences, workshops and group discussions. Some colleagues including Dr Russom Mesfun of Asmarino.com from California – Berhane Haile of Boston, Miss Bee Nasser of Norway (she was passionately advocating of the rights of Eritrean women), and others expressed expectation of a meeting on Saturday 27, 2015 in Geneva. It didn’t’t happen. That is to be expected the work of the organizers was difficult. However we had a lot of an informal discussion. The Geneva city center displays a variety of restaurants and cafes with comfortable seats outside. 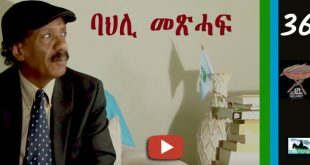 It is there that Eritreans engaged in discussions in the form of brainstorming – The main issue was “the way forward” I remember there was this youth literally on fire demanding that people should work in unison and accelerate the demise of PFDJ. I liked his discourse and his spirit to move on without wasting time. The youth seems to realize the damages of fragmentation. People were sensing that it is time to radically change in the way the opposition works. They expect the older generation to share their wisdom and experience admitting their participation is critical to the struggle for democratic change. 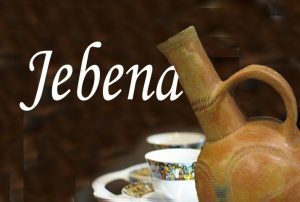 “In my view, nothing is more important than working on the increased effectiveness and relevance of the Eritrean opposition. 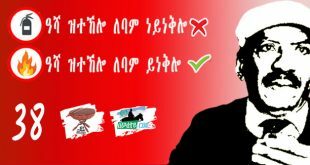 This will not only help shortening the life of the dictator, but above all, mitigate the risks post PFDJ. The Bologna Forum aims to achieve just that and this is why it has a huge importance. As a people-lead effort, it will only work with everyone’s contribution and full participation. And that can only be achieved when the enormous potential value of his effort is truly recognized. Hope to see many of you in London, Oakland and Bologna. To make it happen. The initiative s is very encouraging and timely. I don’t hide my concern that the justice seekers in UK is not playing the role it was supposed to play. It was weakened not by fragmentation only but by complacency. It is far away from being action oriented. Some studies indicate that there are up to 50 Eritrean communities in UK. To the advantage of PFDJ- the communities don’t engage in debate about the social situation let alone the political situation in Eritrea and have become de-politicization centers. This system encourages conspiracy of silence, and the UK activities being vibrant few years ago have become surprising weak today. Such weakness is predominantly in London. Those outside London in the North are much better. Today with the report of ICOE an environment has been created that makes it relevant to listen to the views of the opposition. In such political climate the provision of credible opposition in the form of UK voice is essential to engage with the British Authorities. To find ways to form an umbrella sort of “UK voice” has been the subject of discussion during the commemoration of Martyrs day, June 20. Subsequent meetings are arranged to take place at the hall of “International initiative for Peace” off Victoria Station. At last the people of Eritrea are being listened. 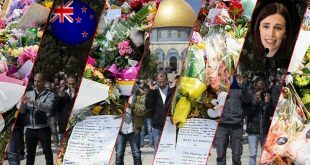 Their pains and suffering acknowledged by the international community and the highest authority in our planet, the United Nations. Time to seize the momentum. Eritrea Focus: is an association of Non-Governmental organizations (NGOs) human rights organizations, exile and refugee groups and individuals concerned with the gross abuse of human rights in Eritrea. 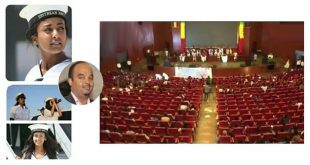 Bologna Forum: is an independent, people-lead platform and alliance of Eritreans and organizations who seek to strengthen the ‘Eritrean solutions for Eritrean problems’-mantra as a political strategy for Eritrea’s path towards democracy. 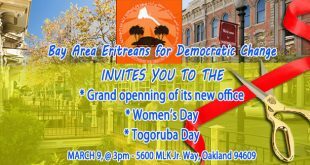 The Bologna Forum Programs: Eritrean Summit to End Dictatorship: London 18-19 July: Oakland California 28-29 August: Bologna 9-11 October 2015. The picture: The woman in Black cardigan and grey t-shirt is Mrs Shoa the wife of ex-ambassador to China. Erimias Debesai (papaya): Some time ago her daughter, Aura, came out with a moving placard in an-anti PFDJ demonstration in Germany. It read “Where is my father “. It symbolizes the pains of all the families whose beloved are illegally imprisoned by PFDJ. 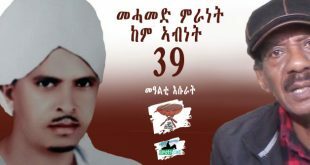 A New Campaign by Amnesty International has been launched to call for the release of all prisoners of conscience in Eritrea. Putting Aster Fitzehasion in the front line. And a petition to be signed. 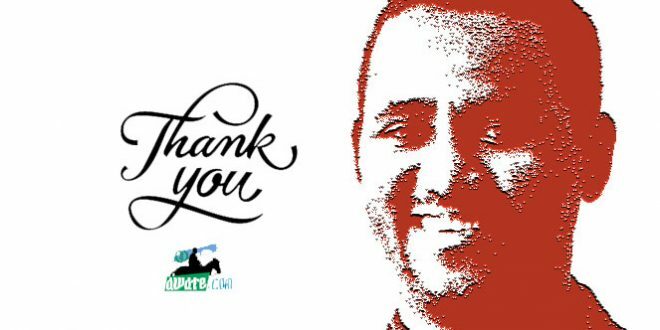 Demand the release of prisoner of conscience Aster Fissehatsion | Amnesty International. Thanks for giving us the synopsis of what it was like in Geneva. 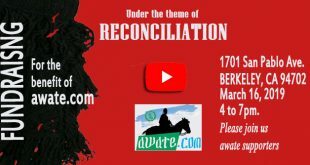 This date will certainly be a watershed moment of seismic proportions that not only created the critical mass in favor of justice seeking Eritreans but also a marker of the beginning of the end for the regime that was bent out of shape to destroy Eritrea and Eritreans in what they stood for. 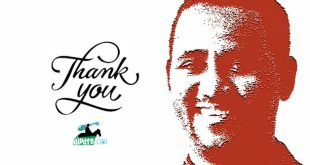 Nsu underestimated the passion of the people who were willing to give him the benefit of the doubt as they couldn’t conceive of a human being who spent his youth and most of his adulthood struggling in the Eritrean national project could take them for fools. 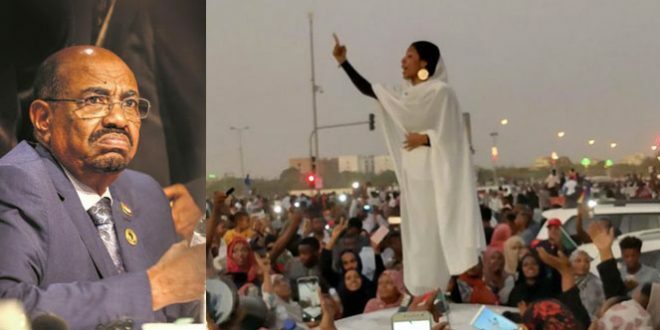 The Eritrean people are finally saying, fool us once, shame on you; fool us twice, shame on us as such they have risen to never be fooled again, ever. Here is a visual synopsis that supplements what you kindly have given us through the written word. Thank you for taking the time, the energy, to capture the moment in time, one that is for the record books.